This promotional ad put together by Danish broadcaster TV2 in February 2017 was shared by millions around the world. ‘All That We Share’ opens with Danes walking onto a stage and stepping into squares outlined on the floor that divide them into categories like ‘High Earners’, ‘Those Just Getting By’, ‘Lifelong Danes’ and ‘New Danes’. As they answer a series of personal questions together, they begin to realise that they aren’t as separate from each other as they once thought. The video’s message about finding common ground with your neighbour in a time of division and fear is what makes it so moving and relevant. For the Super Bowl 2017, Hyundai connected active members of the US military with loved ones half a world away. The ad was completely filmed during the game at both Houston’s NRG Stadium and a military base in Zagan, Poland, then aired immediately after the Patriots came back to win the first Super Bowl to need overtime. The 90-second spot is only the first stage in an ongoing campaign called “Better Drives Us” and was a huge hit on YouTube long after the game was over. George Clooney continued his endorsement of the Nescafe coffee brand with a new viral ad that saw the actor appear in scenes from classic films like Psycho, Easy Rider, Smokey and the Bandit, the first Muppets movie, Planes, Trains & Automobiles and Seabiscuit. It ran in the US and Canada across TV, digital and social during April 2017. Super Bowl ads went political this year, with immigration and diversity championed in between the American Football action, with Budweiser sparking calls for a boycott from Donald Trump supporters with an ad that featured a politically-charged immigration theme. The cinematic 60-second ‘Born The Hard Way’ spot captured the pre-game buzz by chronicling co-founder Adolphus Busch’s journey from Germany to St Louis in 1857. The beer company billed the ad as “the story of our founder and his pursuit of the American Dream” and it was one of the most-watched spots ahead of the game online. This fun campaign by TBWA\Raad for Connect Boundless in Lebanon showed people doing the Ice Bucket Challenge and the Harlem Shake long after they were popular. “Lebanon is a country that thrives on following trends, unfortunately not all areas have the right internet connection and end up being late comers to online fads. So, we tackled slow connectivity with humour and used unscripted characters from remote areas in Lebanon to recreate live versions of the Ice bucket challenge and the Harlem-Shake,” says the team of the Beirut-based agency. In April 2017, McDonald’s experimented with an unconventional marketing campaign that didn’t mention the brand once- instead urging viewers to search for a phrase instead. The TV commercial for McDonald’s, featuring the actress Mindy Kaling, did not appear on the company’s YouTube channel, Facebook page or Twitter account. In fact, they don’t mention McDonald’s at all, though they do mention Coca-Cola and Google. The ads are part of the chain’s first unbranded marketing campaign, in which it is coyly asking people to search Google for “that place where Coke tastes so good.” The query, meant to capitalise on millions of search engine results that favour the fast-food chain, is central to the ads where association with the brand is limited to placing Kaling in a bright yellow dress against a red backdrop. Unilever revealed a new haircare brand Evaus, recruiting a number of popular beauty and fashion bloggers as part of its launch campaign. But there was a twist- Evaus was simply a repackaged version of one its its existing brands (‘Suave’ spelled backwards). For the video ad, Unilever hired a group of influencers in a campaign from Vice’s digital agency Carrot. Carrot let these influencers try Evaus products for about two weeks, then invited them to a studio to reveal the truth. The reaction video showed the bloggers shocked that they had been using a mass-market brand. In the summer of 2017, British Airways released a flight safety video featuring some of Britain’s most notable faces, in partnership with Comic Relief. The tongue and cheek video sees various stars ‘audition’ for a role in the new video. The purpose for the video to make sure passengers pay attention to the safety instructions and also raise awareness of the global charity partnership between British Airways and Comic Relief with a goal of raising £20 million ($26 million) by 2020. It was shown on all BA flights in September, but the airline pre-released the video online in hopes of garnering even more attention for the cause. Svedka Vodka ran an innovative Halloween campaign featuring banner ads that haunted users everywhere they go on the web, until they could lift the curse by infecting their friends instead. The campaign, created by Toronto agency Bensimon Byrne, started by serving up the “Curse Video,” a forced-view pre-roll video that once seen subjects the viewer to a flood of digital ads that target and retarget them with creepy messages and Svedka Vodka cocktails. People can break the curse and be free of the banners by visiting the Svedka Vodka site and sharing news articles. If any of their friends click on the article, they’ll be redirected to the curse video that cookies them and starts the whole ‘hellish’ process all over again. A risky “OK Google” prank that went awry for Burger King won the Direct Grand Prix at the Cannes Festival this year. The campaign debuted in April with 15-second spots that featured the phrase, “OK, Google, what is the Whopper burger?” Any Google Home device within earshot, upon hearing the prompt, told listeners about the fast-food chain’s burger. The work hit a snag when Google Homes cited the Whopper’s Wikipedia entry, which people quickly edited in disturbing ways—but that likely helped propel the work to become a viral hit. When news got out of the sabotaged campaign, though, it became a viral hit. And the original intent of bringing the Whopper into people’s homes was fulfilled. To market this year’s horror hit “Rings”, Paramount scared the living daylights out of shoppers at an electronics store in New York, becoming a massive social media success in the process. In footage uploaded to Facebook, customers in a TV showroom are tricked into believing that the film’s villain, Samara, is crawling out of their television sets. According to a behind-the-scenes video, the prep for this elaborate prank meant building a fake wall inside a real store in upstate New York, then covering it in televisions showing trailers for Rings. The video has been massively successful, getting 250 million Facebook views in a day. 2017 was a year of mighty political upheaval, and this Oscars ad series from The New York Times urged consumers to value, and pay for, the truth that journalism uncovers. 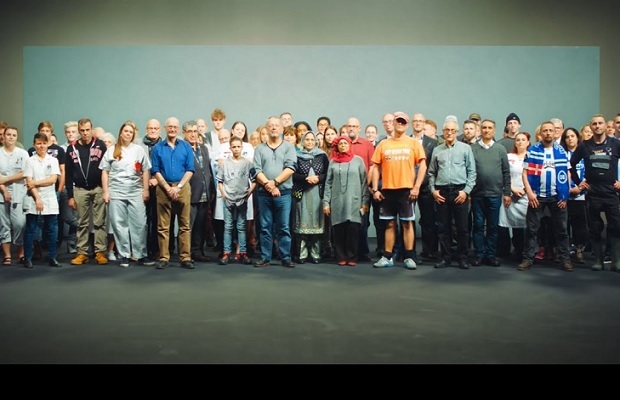 The New York Times debuted its first-ever Oscars ad, a simple spot–just black type on a white screen–that came down to one conclusion: the truth is hard, and it’s more important than ever. Working with agency Droga 5, the newspaper launched the next phase of its “Truth Is Hard” campaign by giving us a peek into the process behind some of the striking images we see in its pages and online every day. UK broadcaster Channel 4 brought a new ad format to its on-demand platform that targets the viewer directly, including their name as part of the promo.Channel 4 gets this information from users’ All 4 account details. Viewers can opt out of seeing them if they feel they’re a bit too intrusive. As a first example, the TV trailer for the new film Alien: Covenant, will call out the viewers’ name name and telling them to “run”. Air New Zealand has become famous for its big budget safety videos that go viral on the internet, but this year’s marked its most ambitious yet. The Alice In Wonderland-inspired film features Hollywood stars Cuba Gooding Jr and Katie Holmes. But the centre of attention is New Zealand itself. Locations including the Southern Alps, the Conway River in Canterbury, Wellington, Cathedral Cove in the Coromandel, and the Auckland Harbour Bridge as the backdrop to aviation safety. Creative agency True and postproduction company Assembly were behind production of the spot. Household electronics firm Whirlpool won top honours at Cannes Lions 2017 for data, with a campaign that gave at-risk kids access to clean clothes to help them stay in school. In August 2016, Digitas LBI and Whirlpool gave 17 schools in the US washers and dryers and found that this led to 90% of kids attending schools more often with 89% greater class participation. By gathering data linked to student IDs and the use of the machines, the Care Counts programme was able to directly link the washers to 90% of kids attending schools more often with 89% greater class participation. On 1st May in 2017, Whirlpool partnered with Teach for America to expand the programme to 60 total schools in ten US school districts by August. For this year’s Super Bowl, Skittles took on the romance cliché of that thing where someone throws pebbles at his crush’s house to get her attention. Of course, instead of pebbles, it’s Skittles. And because it’s Skittles, they have to subvert expectations. Instead of getting out of bed to talk to her guy friend, Katie’s sitting on the floor and catching the thrown Skittles in her mouth. Then her whole family switch places to get some, followed by the burglar, the officer arresting the burglar, and a gopher. Car maker Kia created an interactive slapstick ad to promote its Niro range at this year’s Super Bowl, starring Melissa McCarthy. The ad features McCarthy starring as a hapless eco-warrior and promotes the new Kia Niro’s record-setting fuel economy with a series of perilous situations in which McCarthy responds to the call to save the planet. Unilever’s Lynx continued to break away from its “lad” labelling with a bold ad campaign combating what it’s now calling “toxic masculinity” and its debilitating effects on young men. The new work is themed “Is It Ok For Guys?” and is part of Axe’s “Find Your Magic” positioning, which memorably launched in early 2016 from agency 72andSunny Amsterdam. A new film kicks things off by showing how guys privately struggle with masculinity—but highlighting actual Google searches that reveal just how anxious they feel about adhering to, and straying from, societal norms. As part of the campaign, Lynx has bought up search ads on terms about male issues, displaying results with responses from Joshua and other male influencers telling them that it’s fine. In their third Super Bowl campaign in a row, this year’s Avocados from Mexico ad starred Jon Lovitz, and used the setting of a secret society meeting. This year, the brand highlighted the nutritional value of avocados, reminding millions of viewers that there is a difference between the bad in their chips and the good fat in their guacamole. This ad for the Volvo XC60 was one of the most eye-catching automotive ads of 2017, sweeping through a woman’s entire lifetime in three minutes to emphasise the car’s safety features. Volvo wanted to opening itself up to a wider audience while adverts for competitor models such as the Audi Q5 and BMW X3 still lag by catering almost exclusively to a male buyer. While those brands choose to target males through bold action sequences and a male driver, ‘Moments’ was specifically targeted at women.